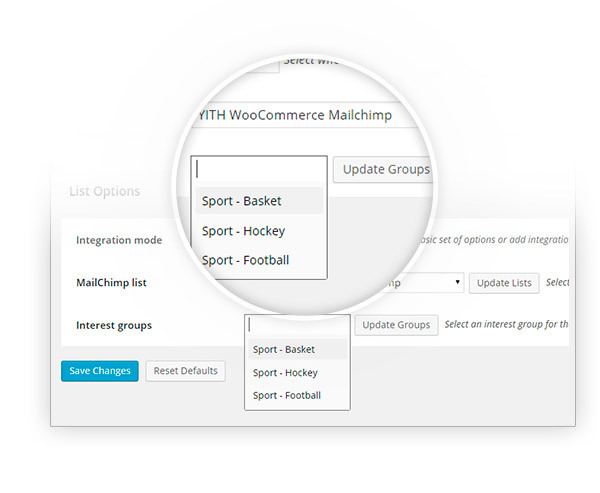 With YITH WooCommerce MailChimp you can manage email marketing campaigns for your e-commerce in a few simple gestures. 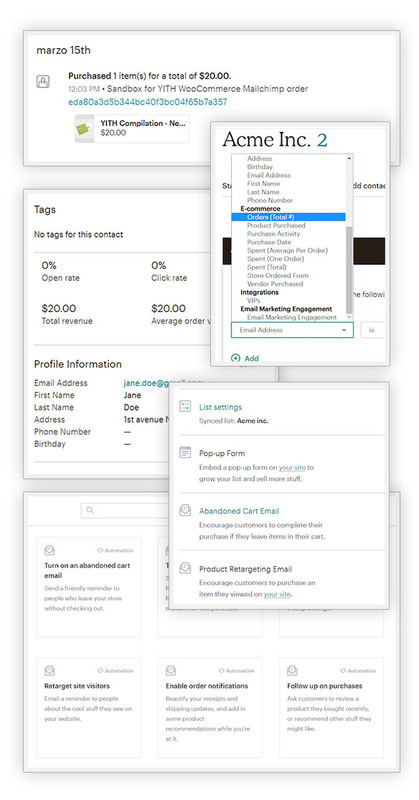 You can add contacts from your shop after order creation or completion, automatically or only after customer’s consent. You can profit of all benefits that an email service provider such as MailChimp grants you to promote your new products, your offers, your shop, to simply keep in touch with your customers or whatever you want.  We all know that email marketing is a very powerful tool for shop promoting and sale increasing, especially when managed tidily and systematically with targeted campaigns that have a much higher sale conversion rate. 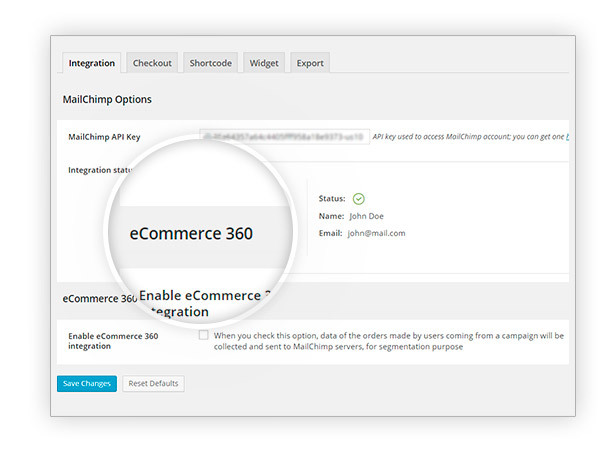 To track the purchases after a MailChimp campaign. 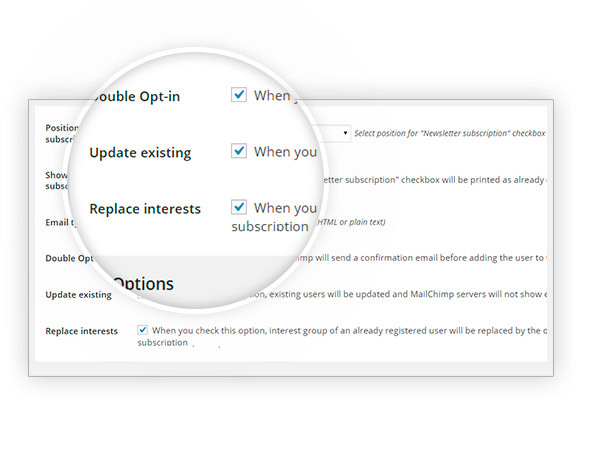 If your users subscribe again to one of your list, you can change their interests or add the new ones to the existing ones. 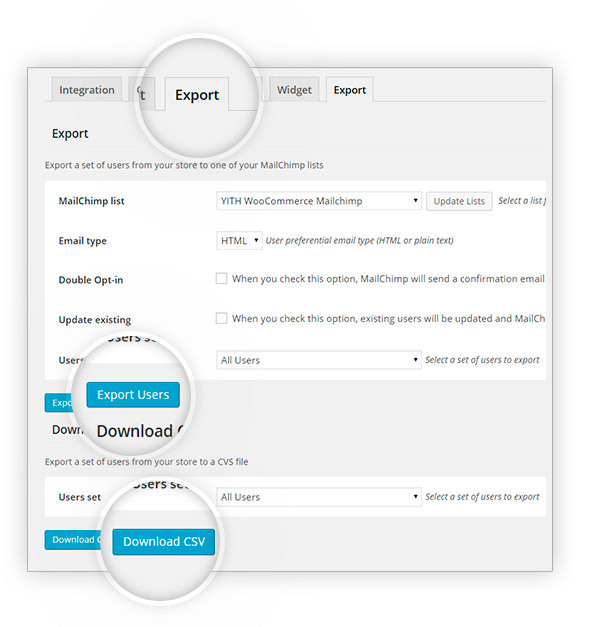 Without the need to access to MailChimp to ease the subscription of your users. 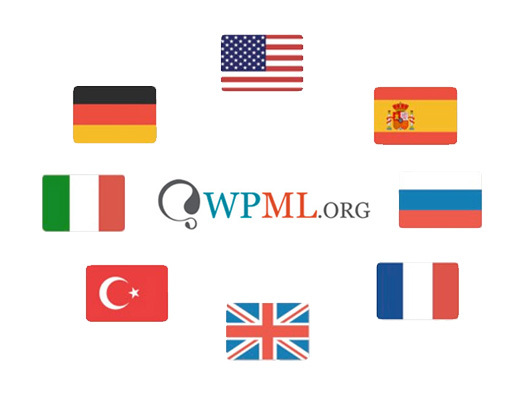 Choosing the related interest groups, or addressing the users in the list you prefer. 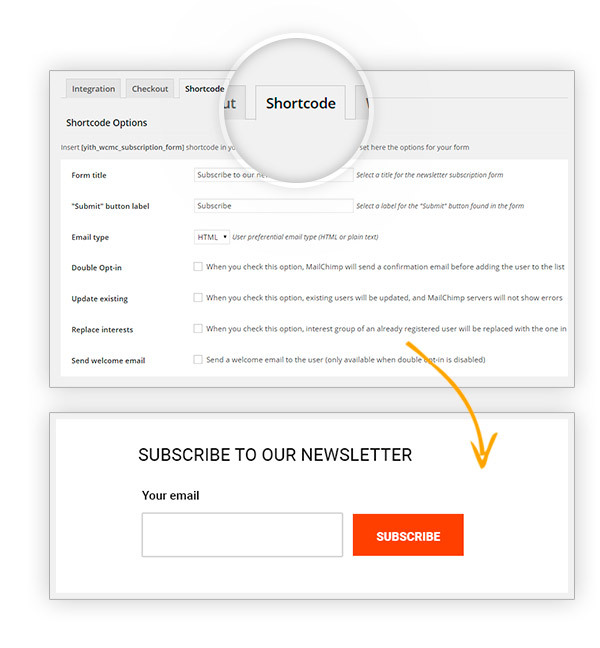 Thanks to a comfortable shortcode that you can modify freely from the related section. 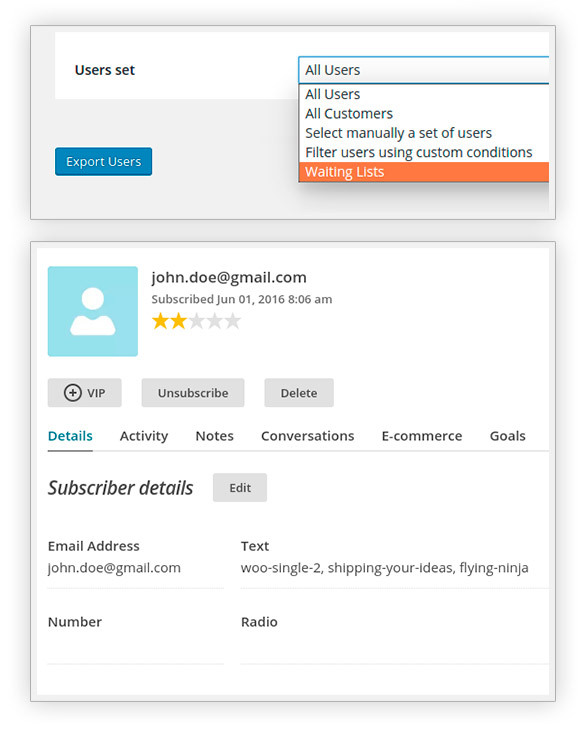 Quick and easy to use, so that you can address your users to the newsletter subscription from the sidebars of your store. 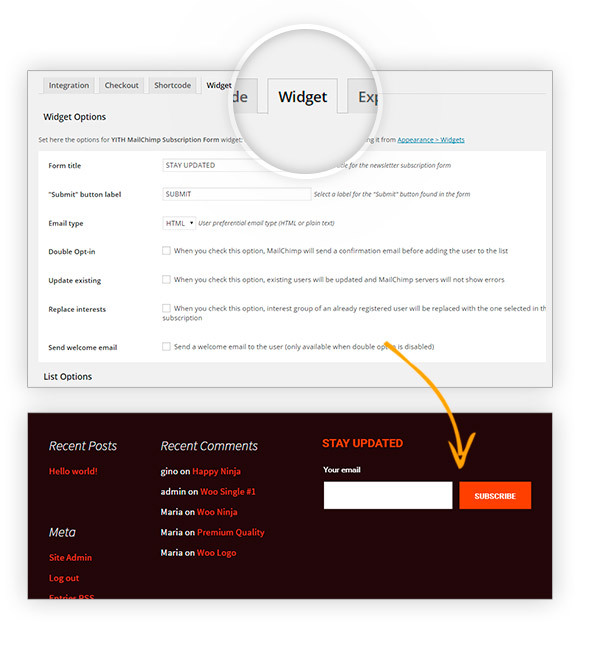 Without touching any theme or plugin's file, you will have the complete access to modify them following your needs. 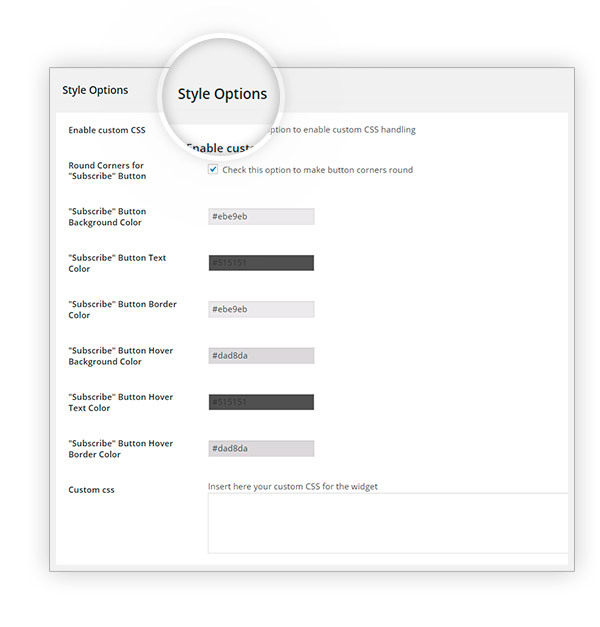 Automatically with just one click, or downloading a CSV file you can use freely. 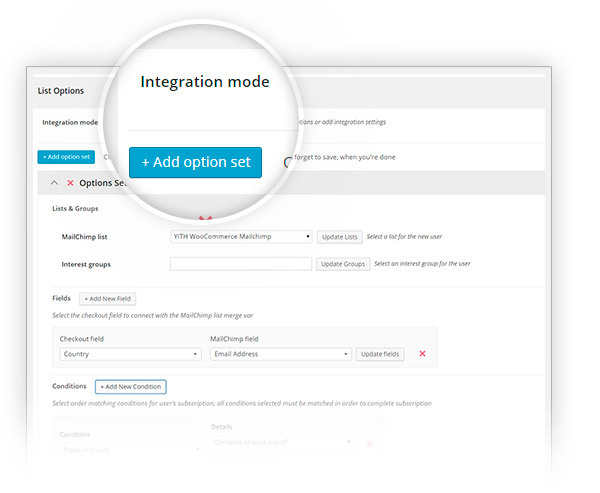 Top!Great plugin, and even better, I can use it with my free Mailchimp account. Thumbs up! No that is not possible, only if that person makes another purchase, the new email address will be registered to MailChimp list. yes, sure you can. You can see how to configure this here. Hi, Ilaria! Unfortunately, the plugin doesn't have this kind of system, I am sorry. You can register a user and assign him/her a tag if purchasing a subscription, but there is no real time update based on the subscription status. Hi, Patric! Unfortunately, our plugin doesn't work with Klarna, I am sorry. Just like other plugins, it relies on the standard WooCommerce checkout page.